The super durable, swim-friendly activity tracker for kids. Through themed adventures and designated rewards, kids stay motivated to be active and do their chores. 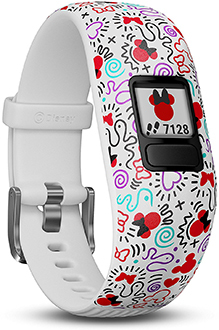 Each vívofit® jr. 2 band corresponds with a specific app adventure game that kids can play and advance in when they reach their daily 60-minute activity goal. Managing the vívofit® jr. 2 is as simple as downloading the app. From there, parents can view activity, assign tasks or responsibilities, designate rewards and more. Keep kids on top of tasks such as homework, household chores, and even brushing their teeth with customizable schedule alerts and rewards for task completion. 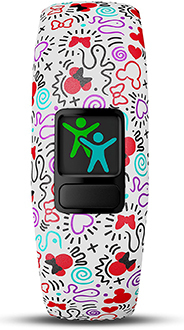 Toe-to-Toe™ step challenges lets kids sync with nearby friends to challenge each other, or even themselves, to timed step competitions. The parent-controlled app with themed adventure for kids. Take the fuss out of household responsibilities by assigning chores in the app. Set them to recur daily or monthly and choose how many virtual coins each is worth. Designate custom rewards that kids can win in exchange for their hard-earned virtual coins. You decide how many coins it takes to earn a movie night or a new toy. vívofit® jr. 2 works with most Apple or Android devices. Check device compatibility here. vívofit® jr. 2 uses very little data but pairs well with a TELUS phone plan. View activity, assign tasks, designate rewards, and more in the vívofit® jr. App.